"An extra pair of eyes is essential when creating the amount of content we do for our clients on a weekly basis. We need to ensure that every blog post, website, brochure and e-book is word perfect, which is why we’re so thankful that we have found Abi. From the first piece she edited, her service and the quality of her work has been exceptional. We feel Abi in many ways is an extension of our business, supporting us with a variety of projects. It is not about just how skilled she is, but the personal care and attention she gives us as a client. I highly recommend Abi, and know that she will be an asset to any company that employs her services." 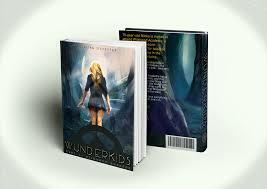 "Abigail edited and proofread my young adult novel Wunderkids. Abigail is everything a great editor should be; she’s meticulous, inquisitive, supportive, attentive and responsive. She was also very kind with her commentary; she moved quickly and took an avid, passionate interest in the text. Abigail found issues and lapses in my manuscript I would never have spotted myself. She made a difficult process somewhat less daunting. I fully recommend her services and working with her has been a joy." "Abigail is one of the best people I have ever worked with. Her professionalism in getting the job done is amazing. She turns in the work on time, and does an excellent job. I strongly recommend her, and I already have to a lot of my friends. In short, Abigail is best of the best, and I will definitely work with her in the future."